Sadly, I can believe yesterday’s disgusting, terrifying and heartbreaking news. I was too emotionally distraught to compose something then but I do want to write about my feelings today (though they really do not matter in the grand scheme of this tragedy). First and foremost, I need to say that my heart honestly breaks for these families, students, faculty and community. My heart breaks for the shooter’s family. All of these lives are forever changed, and permanently dictated now by a person sick with mental illness. The SWAT Teams, first responders, staff, faculty, and students are the heroes who need to be and will be remembered from this senseless massacre. Just going through Twitter yesterday was heartbreaking and extremely difficult for me. I keep saying “heartbreaking” because that is truly the word to best describe my feelings. Video clips of students cornered together in a classroom shaking, holding back tears and their breath while an armed SWAT Team busts into the room to secure and release them. Unreal. Chilling. Terrifying. Screenshots of students texting their parents saying something to the point of “if I don’t make it out of this alive, just know that I love you and thank you for all that you’ve done for me.” Heartbreaking. But, whenever I hear “I can’t believe there’s been another shooting,” I think to myself...really? Are we honestly THAT in denial that we think our nation’s inaction will result in any sort of decrease in these disgusting cowardly acts of terror? What are we learning from all these innocent lives lost? We are continually doing the hugest injustice to our victims while the government makes no progress with gun control and reform. It’s truly sickening. And this is not exactly a new trend for the United States. Obviously action should have been taken in regards to GUN CONTROL long long long ago. Yes, it is a mental illness issue as well. But our government needs to stop ignoring this and put into action a plan to reduce (we will neve truly be able to eliminate) the availability of assault rifles and weapons. Yes, it IS the time to discuss gun control. The NRA’s tight hold on Americans is absolutely disturbing and disgusting. The AR-15 weapon that took 17 innocent lives on Valentine’s Day was legally purchased by the 19 year old shooter. We need to think about that more. And really process that. There are things that we, as a nation, can do. There are things that we, as a nation, NEED to do. It really just comes down to common sense. That’s all. Again, my heart truly goes out to not only the 17 victims who lost their lives, but also the survivors and heroes whose lives also will forever be dramatically changed because of the horrific actions of this not to be named 19 year old with a legally purchased loaded AR-15 assault rifle. This is the sad reality of our nation today. We need to do better. This can't be our "normal." We can do better. 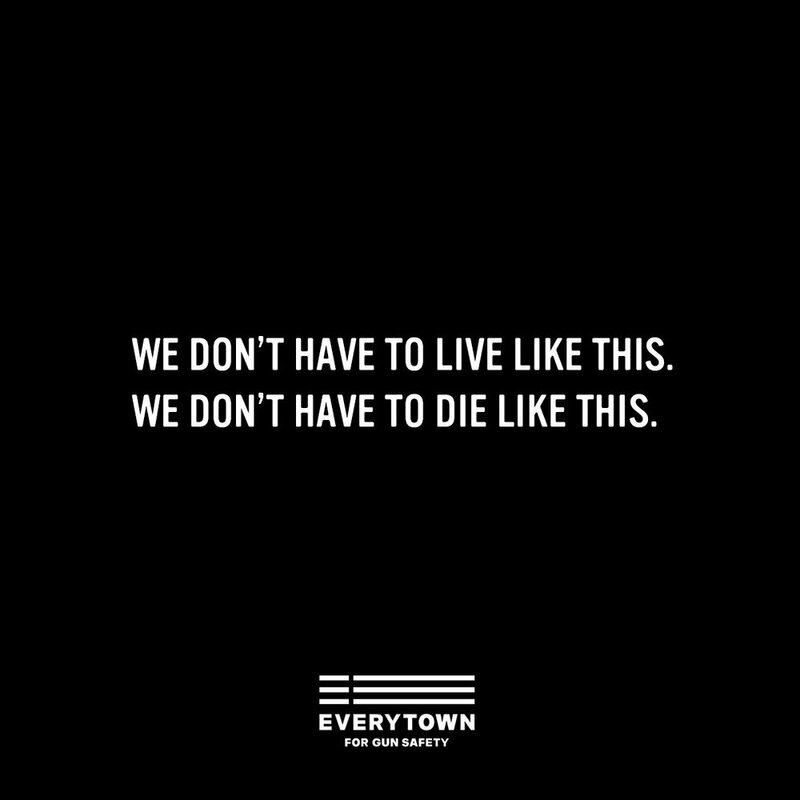 Click here to donate to EveryTown, a non-profit working to end gun violence and build safer communities.